Even though they wont admit to their use while they compete it is a given that most if not all of those top bodybuilders are using steroids of some sort to help them achieve their goals. 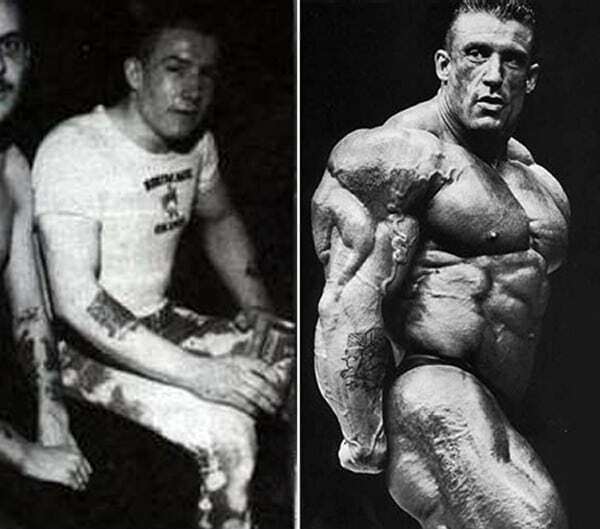 Of course they still need to work hard, and their dedication is something to be admired, but if you think their physiques are achievable without the use of steroids you are mistaken. The following article will look at why bodybuilders use steroids, their benefits and side effects too. We will also look at how steroids have transformed the bodies of some famous bodybuilders, and how they lost muscle mass after they stopped using them. 2 Why Do Bodybuilders Use Steroids? 3 How to Spot a Steroid User? Testosterone is a naturally occurring steroid hormone. Those with higher natural testosterone levels are able to build muscle much easier than those with lower levels. You can increase the amount of testosterone you can produce naturally, for example through your diet or from getting plenty of rest, but you can only increase its production to a certain extent. This is why bodybuilders and athletes often resort to steroid use, to increase the amount of testosterone found in their body even further. Steroids are synthetic androgens that cause a process called anabolism to occur. A process where bigger muscles are built due to the steroids causing an increase in protein synthesis and insulin release . Not all steroids are designed for muscle growth, there are several different types available. Steroids like Trenbolone are designed to build muscle and strength, but there are also cutting steroids like Clenbuterol available that help to burn fat. Whatever your goal you will likely find a steroid, or a steroid stack to help you push towards that goal. It is true that steroids offer numerous benefits, just remember that these benefits can come at a cost. Why Do Bodybuilders Use Steroids? Bodybuilders are constantly trying to improve their physique so are willing to do just about anything to achieve their goal of a perfect body . Using steroids is a quick way of speeding up their results. Of course they still need to train hard and keep their diet in check. 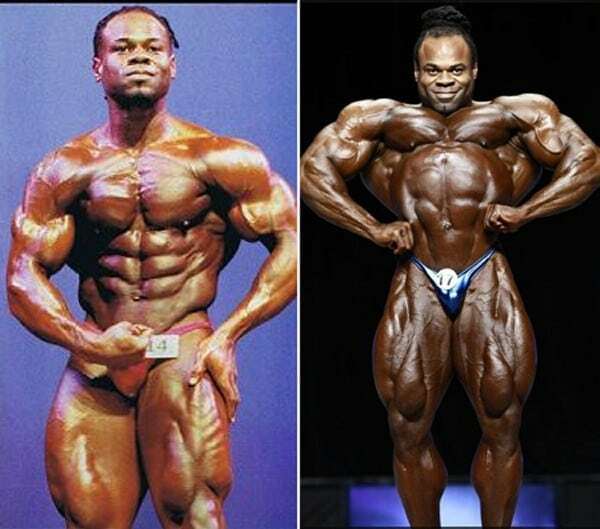 But when was the last time you saw a natural bodybuilder compete on the Mr Olympia stage? Basically, using steroids will give you muscle and strength gains, improve stamina and endurance, improve performance and aid fat burning. No wonder there are so many drawn to their use. How to Spot a Steroid User? While this side effect is not normally caused by the use of anabolic steroids, it can be due to another reason and that is the use of other chemicals like inulin or HGH (Human Growth Hormone). Chances are if this bodybuilder is using substances like insulin or HGH then they are probably using steroids too. Your upper body has more androgen receptors, and since steroids tap into these receptors your upper body will grow faster than your lower body while using steroids. A “V-shape” is something that many men, in particular bodybuilders will aspire towards. And is a good indicator of steroid use. Gynecomastia is often caused when the exogenous testosterone found in anabolic steroids enters your body and is converted in oestrogen. This process is called aromatisation, and will cause the development of male breast tissue. The use of steroids can cause skin issues such as acne and stretch marks. Increased levels of testosterone can cause outbursts of acne as this hormone can affect your sebaceous glands. You may not see this acne while a pro bodybuilder is on stage, but it is likely there. You just can’t see it due to the amount of fake tan being used. As for the stretch marks, this is caused by the rapid muscle growth caused by the use of steroids. Stretch marks occur when your skin stretches but is not able to adapt quickly enough to stop these permanent marks. You will often find these stretch marks on the upper lats and the side of the pectorals. If you are a regular gym goer you will see pretty much the same guys week in and week out. Well, if you notice that one of them has gained a significant amount of muscle in a short space of time then chances are that it is down to steroid use. All steroids have the potential for side effects, although some will be more severe than others. To lower the risk of encountering any side effects you should ensure you do not abuse them. PCT or Post Cycle Therapy is also essential, as it will help restore your natural hormone levels to a healthy level. Of course some of these transformations occurred with a little help from puberty and the spike in testosterone that occurs during this time. A common issue found with steroids is that the muscle gained while using will disappear once they are off the gear. 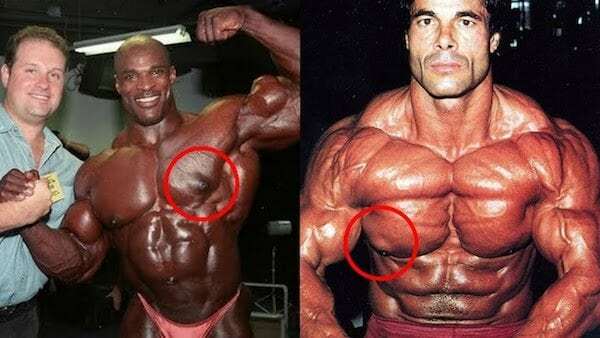 Looking at the before and after images of bodybuilders who used steroids we can see why they are so appealing. Steroids will help you gain massive amounts of muscle, but is their use worth the risk? Looking at the potential side effects you really should think whether you want to try them yourself. Another thing to remember is that any muscle gains will be lost eventually when you stop using them, as illustrated by those images of bodybuilders shown above. Personally speaking, I would rather not put anything into my body that could potentially cause harm. It is possible to gain muscle and strength without the use of steroids. There are safe and legal alternatives for example, such as those sold online by Crazy Bulk. One of their most popular supplements is D-Bal, which is a safe and natural alternative to the banned anabolic steroid Dianabol. The ingredients found in D-Bal include various BCAAs, Whey Protein Concentrate and Tribulus Terrestris. With these ingredients shown to boost nitrogen retention, which results in an increase in protein synthesis. If you are wondering whether this supplement seems too good to be true then I would recommend that you visit the Crazy Bulk website yourself. They have countless testimonials available from real users who have all seen promising results. To read our full review of D-Bal you should click the link below. Even though the steroids have no doubt helped them gain muscle it shouldn’t take away from the effort and dedication they have put into achieving their physiques.